Young fiction writers are often encouraged to “write what you know.” That often yields stories that seem overly autobiographical, yet juiced by primary experience. The work is especially moving when the writer is talented and courageous—and if his empathic sensitivities reverberate in the rest of us, as is the case with Manuel Muñoz ’94, author of Zigzagger (2003) and The Faith Healer of Olive Avenue (2007). 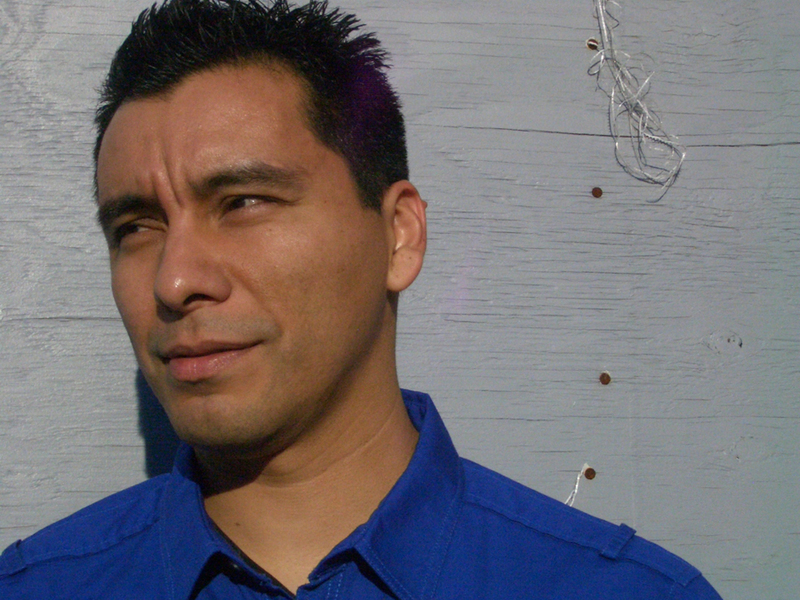 The books identify Muñoz as gay and Chicano, labels that probably helped draw attention to him as a writer, as well as an early audience—which in turn led to honors, including the prestigious Whiting Writers’ Award in 2008. Much of Zigzagger, written in his twenties, articulates the world of young gay Latinos surrounded by America’s agricultural bounty while leading somewhat barren lives. The book was acclaimed by critics and especially embraced by Chicano readers who “welcomed me—and challenged me,” reports Muñoz. “They said, ‘What else can you do with your material to make yourself a proponent of the content? What is your role as a writer?’” In answer, The Faith Healer of Olive Avenue follows a wider cast of characters and families in a Central Valley town that changes over a generation; the lyrical, interconnecting stories are filled with heartbreaking struggles to define selves, aims, and the true nature of home. That’s not to say that the Central Valley and Muñoz’s experiences there are not still hugely influential. A major theme in What You See in the Dark, he notes, is “the way people in a place they consider ‘nowhere’ think outside of themselves through dreaming and imagination and fantasy—like that moment you look at People or US Weekly and read about celebrities whose lives and stories seem more exciting than your own.” The novel weaves the story of Leigh’s character with those of a singer, of a tired waitress “who knows she will never leave town,” and of the hovering residents thrilled by proximity to stardom—and starving for recognition of their own stories. Growing up, Muñoz, who learned English in kindergarten, worked a warehouse job to earn money for clothes and school supplies. He learned of Harvard from a picture in the dictionary (he had looked up the spelling of “Massachusetts”), but it was not until freshman year of high school that he decided to go to college. (He earned only As thereafter, apart from two Bs in gym.) He reports that when he told a Harvard recruiter at a local college fair that he wanted to be a high-school teacher, the man refused to give him an application form, saying he should just attend state college. But Muñoz applied anyway and was accepted, with a scholarship. His mentors urged him to apply to Cornell for an M.F.A., which he earned in 1998. There, he found a “literary godmother” in Professor Helena Maria Viramontes—who, when Muñoz wavered over attending because it would upset his family, called his mother to reassure her, in Spanish, that her youngest child would be well taken care of in upstate New York. After Cornell, Muñoz worked at Houghton Mifflin in Boston before moving to another publishing job in New York City. There, he continued writing fiction and saw both his short-story collections published. He was not taken with the cosmopolitan literary scene; if anything, he says, he found other aspiring writers in his age group standoffish; when Zigzagger was to be published (by Northwestern University Press), they sounded unimpressed, or actually sorry for him, he says. The Arizona job offer, in 2007, seemed an affirmation “that my books were seeping into academia, getting read on college campuses in Latino- and queer-studies courses,” he says. “A lot of Chicano writers bank on academics being our biggest champions, because it’s hard for us to break past what those adjectives ‘gay’ and ‘Chicano’ mean to most people and reach a more mainstream audience.” He also was excited about serving as a mentor to other writers, having had such good guides himself. In many ways, Arizona has many of the same social, political, and economic constraints Muñoz felt growing up in Dinuba. But they don’t eat away at him as they once did. “In some ways it may sound strange, but I am grateful to be living here while these politics are going on,” he notes. “Something about being here may be pushing me in a new direction.